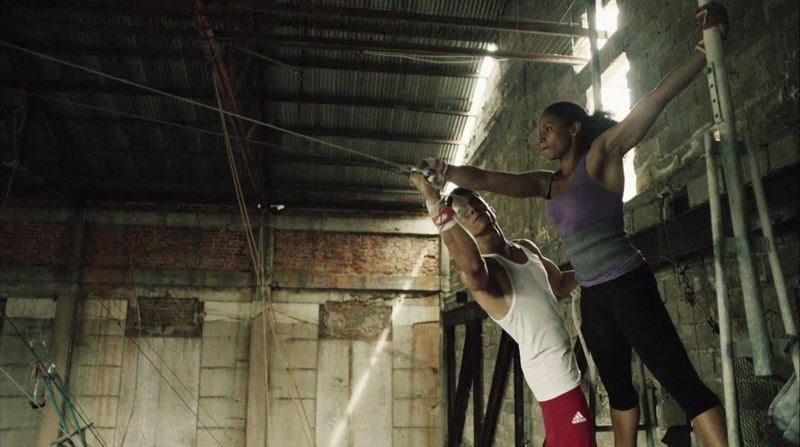 The Temper Trap music video for “Trembling Hands” follows a Cuban acrobat’s struggle to prove herself on the trapeze. Filmed in location in Havana, Cuba, the music video features both lead singer Dougy Mandagi and members of a local circus troupe. Filming was shot by director Tom Haines via Colonel Blimp with producer Tiernan Hanby and executive producer Tamsin Glasson, director of photography Steve Annis, and Cuba unit director Nelson Navarro at Island Film Cuba. Editor was Julian Eguiguren at Final Cut, London, with producers Michelle Corney and Frankie Elster. Colorist was James Tillet at Moving Picture Company with producer Alannah Currie. Dougy Mandagi is the only member of the band to appear in the video.